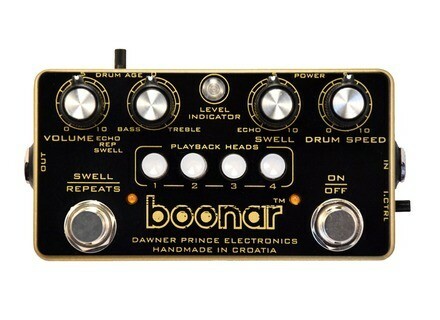 Boonar, Delay/Echo/Phrase Sampler for Guitar from Dawner Prince Effects. 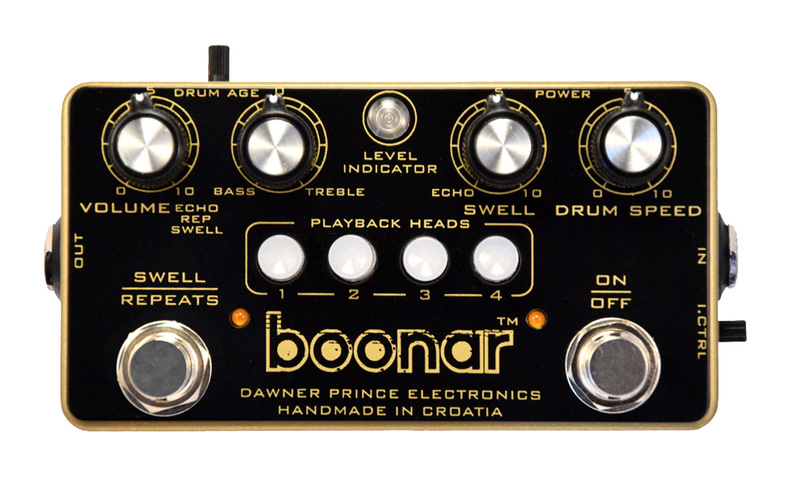 Dawner Prince Electronics presents Boonar, a multi-head drum echo based on the Binson Echorec. 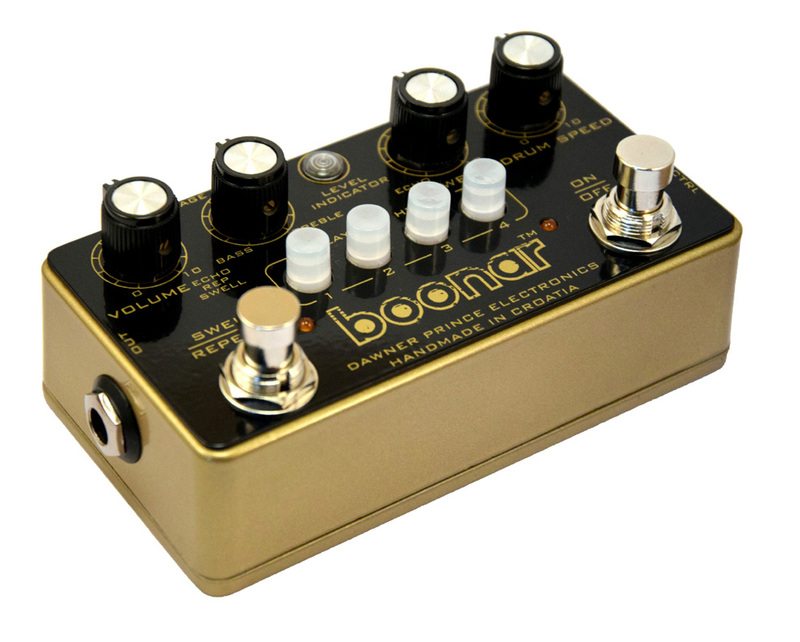 Boonar is an effects pedal designed to recreate vintage Binson Echorec multi-tap magnetic drum echo-delay. Dawner Prince Effects seem particularly proud of this as they claim that "everything" from the original is there, from thick, juicy tube tone, multi-dimensional echo repeats melted with reverb decays, variable delay time up to a full second and separate playback heads switching system to a distinctive external look with a gold finish and green pulsating level indicator - all packed in a compact stompbox. Separate playback heads switches for maximum of 16 possible combinations. Boonar multi-head drum echo carries a $349.95 USD MAP price. The first run is available exclusively from the Dawner Prince Electronics webshop. Everything about guitar and bass pickups - Part 5 An active pickup is a normal pickup ─ but active. Got it? Electro-Harmonix Crayon EXH introduces the Crayon, a versatile overdrive with independent Bass and Treble controls and an open frequency range.